'The Chakras Made Easy' is aimed at the reader who wants straightforward and easy to understand information about the chakras without having to read through a load of 'bumph' to get to the facts. 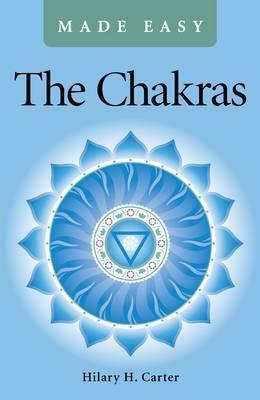 Written by a qualified and experienced British Wheel of yoga teacher, this book explains what the chakras are in a clear and simple way. This is a very down to earth handbook that enables the reader to determine the state of their own chakras through the use of a simple tick list. Practical techniques for healing each of the seven chakras are also listed. By healing your chakras you can realise your full potential as an amazing human being! When your chakras are spinning freely you will experience improved physical, mental and emotional health. Understand your chakras, understand yourself. Bring your chakras into balance, bring your life into balance. Heal your chakras, heal your life. Hilary Carter is co-creator of Taiyoga and co-founder of HigherMoon transformational workshops. She studied energy healing and Tai Chi in London before qualifying as a British Wheel of Yoga teacher. She is also a workshop leader and consultant astrologer, having studied with the world-renowned faculty of Astrological Studies in London. She is currently involved in setting up a Yoga Retreat centre in an ancient convent in the Dordogne region of France. She currently lives between her homes in Devon and the Dordogne.